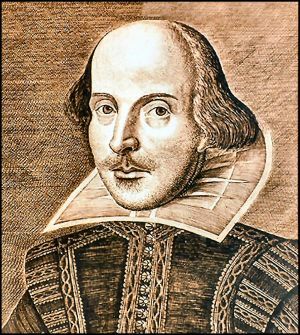 Shakespeare would undoubtedly make a great blogger! 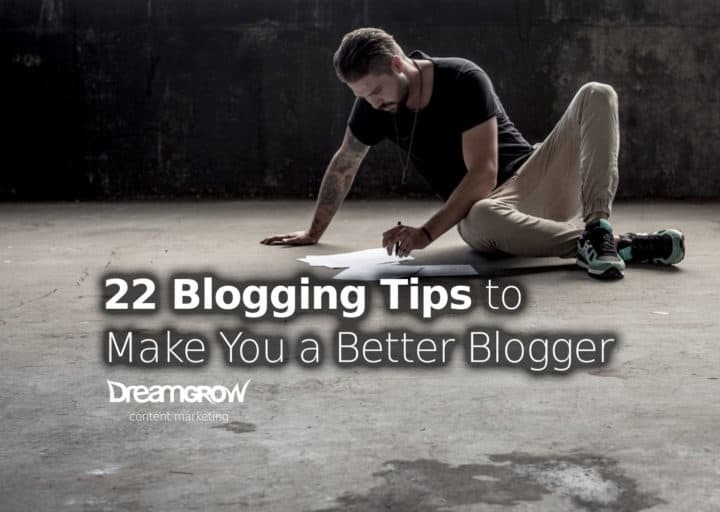 Here are 22 blogging tips that will help you be a better blogger, improve the quality of your posts and get you more readers. If you are in the internet marketing and social media, you know that content is king. Creating valuable content is one of the most important tasks of any marketer. It’s hard to write about something that you don’t know. If you write about tea, then be a tea expert. If you blog about cars be a car expert or write about the aspects of cars that you know and people care about. If you are just beginning on the path of becoming an expert, then blog about that. Read a lot and write about what you learned. In no time you will be perceived as an expert. Exception: But what to do if you don’t know anything? You can create content around your learning process. It is very important that you know who you are talking with and who you want to reach. For example, this post might be more interesting to a marketing practitioner than a C-level executive looking for strategic advice. Use the language and style of the people you are targeting. Be as simple as possible because simpler language gets shared more. Create a persona of your audience. It’s one of the most important steps in creating content that gets results. Here’s how you can use Reddit to create a persona. Blogging is great! Content is the king as they say. But some of us have trouble coming up with new and inspiring topics to write about. The following list of blogging tips should help you to find fresh, valuable content to write about. If you write 10 in-depth articles about your field, then you have enough material to publish for 3 to 6 months. You can also create a summary FAQ post with the highlights of the main posts. After that, you can combine the posts and publish them as an e-book to generate leads. What value will the reader get out of your post? Find some itch that needs scratching and write about that. For example, people may need to stay current or look for ideas. Find an expert in your industry and interview him on your blog. He could share some valuable insight into a topic not discussed before. If your site gains momentum, then you can ask people to write guest posts for your site. Think like your reader. What would you as a reader like to read or get more information about? Keep a notepad with you everywhere you go and write down every idea. Look at what keywords are popular in your industry and what problems are related to those topics. Sort the keyword list in descending order and start writing. Top 10 ideas about [keyword], best [keyword] tools, Best books about [keyword], etc. Find the important forums in your industry and scan them for problems that do not have answers or you can provide a better solution. For example, you can scan Yahoo Answers and answer a question or two in-depth every week. Post the short answer next to the original question and link back to your post. Make sure you add value to the conversation or some admins might consider this as spam. Browse Quora to find topics associated with your business niche or industry. Usually, there’s a lot of questions to be answered and if your business has the know-how to answer them, why not write a blog post about it? Also read about how to promote your blog with Quora. Read other blogs in your field. What are the important issues? Can you identify a rising trend and boost your visitor numbers that way? Maybe some industry expert writes about something that you think is wrong, take an opposing view and let everybody know. Keep tabs on your industry related forums – there’s always a lot of discussion there which could inspire you to write something new or potentially solve someone’s problem. Use content curation tools to find trending topics and stay in touch with the latest discussions. Perhaps you can turn one of those bits into a valuable post? For more details about content curation. Be active in LinkedIn groups. You could potentially find a great and unexplored topic to write about. If you find an interesting topic that has not yet been fully discovered or has out-of-date information, it’s probably a good idea to do in-depth research on it and publish the results. Plan ahead. It’s not likely you’re going to write a great post out of the blue. Instead, you should plan a few steps into the future and slowly develop new content to write about. Plan your writing schedule and make some time each day to think about future blog posts. Is this going to be an everlasting post that people can read in three years and still consider it valuable? Or are you breaking some important industry news? Or a regular post that solves an existing problem for some of your customers? Use the resources according to the goal. Spend a lot of time and effort on the important stuff and reasonable constraints on regular posts. The difference can also be your unique voice. Humor and friendliness can set you apart from other content creators even if the topics you cover are similar. Do you add some value with your post? Is there something new and previously unknown in your post. What is your unique angle? One good way to get a new perspective is to look at it from your target’s point of view. For example, changing a flat tire for women. We wrote about great headlines here 17 Easy Tricks How to Write Catchy Titles and Headlines. Most people read the headline and decide if they want to know more. Work with the headlines and this will make a huge difference in your readership and shareability. A lot of people share and retweet your content without even taking a look at the page. They do it based on the headline. Write great headlines! Spend 10 to 20 minutes on the headlines or even more. Learn from tabloids how to reel people in. Start with one or two sentences that will tell your reader what they are going to get out of the post. We don’t have much time, and we want to know immediately if this is something that in need to read. You may have a great post, but if the essence of the post is at the end, then many people just may not reach it. Readers scan the post with their eyes and decide if it’s worth reading. If it’s a big piece of block text, then only your most devoted fans will read it. Keep everything short and simple. Simple words. Short sentences. Short paragraphs. If you have too much material, maybe it’s a good idea to break the post into a series of posts. People don’t read web pages they scan. Make it easier for them to scan pages. Use large font; I would say that 12-pixel font is absolute minimum text size for the website. Dark text on light background. Bold text or bullet points for important items. New paragraphs every 4-5 lines, one idea per paragraph. At the end of the post ask people to share it with their friends or give feedback in the comments. If you are writing about your products and services, then make an offer. Ask them to sign up for your newsletter or follow on Twitter. If you ask them to do something more people will do it. Use the language that your readers are using. You may have specific industry terms you use with your colleagues, and nobody else understands. Don’t use that! If you are a web developer, don’t tell your readers about PHP, Ruby, SQL, XSS, HTML5 or JQuery. Tell them what it does and what benefit will they get out of it. Many people fail at this step, let your non-specialist friend read the post and tell you if they understood what you had to say. Write so your grandmother would understand. Pictures help your post to stand out when shared on social media channels. People like images, they are easy to consume. Do not use unrelated images about happy people with laptops. There has to be a connection between the post and the image. If the connection is not clear, make it clear with the caption. This image will make people more interested in the event than just talking about content marketing, conversion optimization, and traffic generation. Let your reader feel empowered, happy, smart! I suggest you go with the positive emotions, but you can get results with FUD (fear, uncertainty, and doubt). Let them understand that you understand and they will love you. Identify who you are and what you do. Make your blog template display short info about the author. People want to know who’s behind the post and this will help you to identify yourself as their peer. As one of my friends said I don’t care what they print about me as long as the name and the image are correct. Admittedly, the dog ate the “author section” of this blog. Link to sources. Where did you get that image, who else is writing about this, have you covered this topic before. 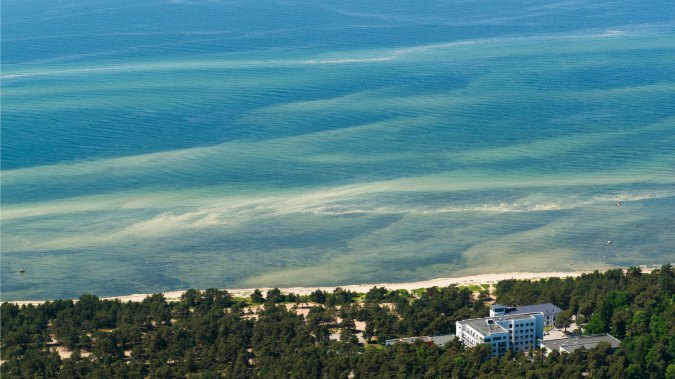 For example the original of this post was written by Annes Org for our Estonian blog. We use creative commons images in most of our posts and link to the source. This way you will get more credible, and your readers will get an alternative view. And don’t worry about linking out as Outbound Links are Gold. 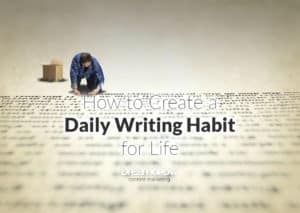 You can write once every week or twice a month but keep that schedule. I believe that to achieve real results you need to blog several times per week but consistency is important. Your readers will get used to the regular posting cycle. If you leave big gaps in your blogging activity readers will leave, and they seldom come back. If you are not one man band, then ask your colleagues to write, too. It helps even if it’s once or twice per month. Use your important keywords in your post’s title, address and heading. These three are the most important elements. Write a description. Link to related posts with keyword rich text links. Add tags and categories. Use keywords in image file names and alt tags. You can read more about what to measure here: 48 Social Media KPIs (Key Performance Indicators). 19. Don’t over do it! If you are empty, leave it at that and come back later. Take a break, do something else and then come back to write. Always check if everything is working. All the links are pointing to the right place. The signup form actually signs up. SEO elements are in place, categories and tags are set. We have a separate check list to make sure that you don’t miss anything: 20 Steps to Write a Blog Post. One great idea to write better posts is to write the post and then come back to it after 24 hours. You will make your post better every time. Guaranteed! It sometimes doesn’t feel like that but… The more you write, the better you will get. Write about things you really care about. If you don’t care about given topic, then find a new one. I hope this post will help you to be a better blogger. If you know anyone who might benefit from this post, then please share it with friends on Twitter, Facebook, etc. Nice things you have shared now i am going to implement this strategy on my blog project – Learn How World . Thanks so much. Great post and there is always something new. Never used captions on my blog site. Captions will sure help in optimizing keyword ration on the page, I guess. Great site and nice article,I will implement this points while writing my next blog post. Hi ! These are the general rules for blogging. We started a website and followed this common sense rules, but you got to have patience for visitors to come. With google’s eyes on us there are a lot of ups and downs. Thank you so much for these tips, I will definitely try to implement them and hopefully start blogging more to drive more traffic to my website. There is always something to learn if you develop and produce your blog, but this tipps are really useful. Knowing what you are talking about – thats the point. Thanks for sharing the tips. In my opinion, on the Internet content is king and always will be. This is because the Internet is the information superhighway and most people use it for information of some sort. And that will get you more visitors. These are all great tips, especially #8. Keeping blog posts short is the way to go because when it comes to the internet people have short attention spans. A long post can also be broken up using headers, sub-headers and bullet points. This makes it easier for people to scan your posts and pick out the information they are most interested in. I really like those tips. I recently read some articles about “how to be a great blogger” with something like 40 to 50 tips and tricks. That was just too much. I think those 22 are great and down to the point. I understand your point. Still, I think that many people who write are not journalists. Writers, scientists, teachers, etc. I think that web is making the lines blur in this area. Maybe the distinction can be made by intent: to teach, to inform, to promote, to entertain. But even then you can combine the several of those into one writing. Priit, I was including comment and opinion in journalism. They are best when they are one-sided. My observation is that the best, most sought after bloggers are becoming closer and closer to the old-style opinion writer. Hence my remark that your guidelines are basic guidelines for journalists. Thank you for your comment, Olga! I hope you get your site up and running really fast. This is great! I’ve copied and pasted most of your points into my weekly agenda. A lot of the info you mentioned is well-known facts, true, but then who remembers and follows through on all of them? I’m launching my first website that will feature value-based commentaries on current news & events, and your 25 Points will serve as a checklist. Thanks for your comment Yojana! I don’t think it means you have to be a journalist. Journalists are expected to be neutral. Bloggers don’t have to be. And anyone who can speak interesting stuff can write it if they try and that doesn’t make them journalists. Your tips can be summed up as ‘be a journalist’. In fact some of the best bloggers are. The skills are identical and very few people are good bloggers. I think you are absolutely right. However, the very same advices may be given to anybody who speaks in public. If 25% of the politicians would follow these rules the quality of the speeches would increase by at least 100%. Anyway if all speakers and writers would follow the first two rules we would a enjoy a lot of free time, because newspapers would be slimmer and news at TV shorter. Next story Why You Need to Blog?